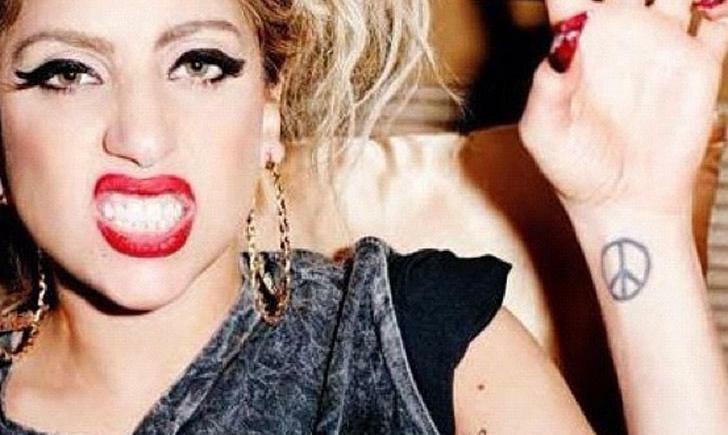 Lady Gaga is known for her wild antics, her killer voice and musical ability, and her tattoos. Originally born as Stefani Joanne Angelina Germanotta in 1986, this New York Native was accepted to the Juilliard School in Manhattan at 11 years old. Instead, she went to a private Catholic school. She then attended New York University’s Tisch School for the Arts. She was one of 20 students in the entire world to receive acceptance to the school but decided to leave school to find her own way. After writing songs for other artists, she debuted her album, The Fame. The rest is history. This heart with a scroll saying dad is a very simple tattoo, but very meaningful. Gaga’s father had open heart surgery after having to deal with a heart condition. She was afraid of her dad not coming back from it and wrote “Speechless” dedicated to her father to urge him to get the surgery. 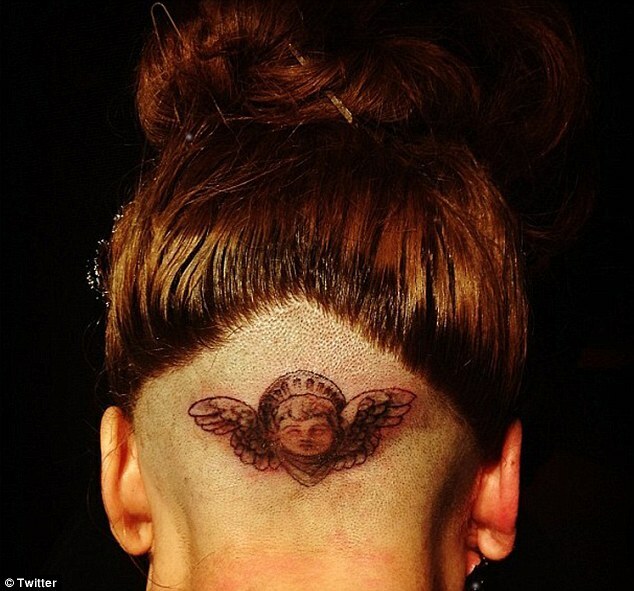 This cherub was tattooed on the back of Lady Gaga’s head at her fragrance launch, LIVE! At the Solomon R Guggenheim Museum, she got into lingerie and had her tattoo artist go to work on this cute little Renaissance style cherub. All this was done inside of a giant perfume bottle. Although the tattoo is still there, her hair has since grown over it. This ribcage anchor was done by Henk Schiffmacher at the Amsterdam Tattoo Museum. The meaning is unknown. This tattoo is just below the German tattoo seen on page 1. Little Monsters is what Lady Gaga calls her immense base of fans. After she won two Grammy awards for best dance recording (“Poker Face”) and electronic dance album (“The Fame”), she decided to commemorate it with, what else, new ink! 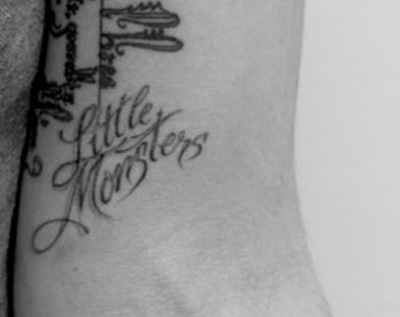 And because she has so much gratitude to her fans, this tattoo is for them, her little monsters. 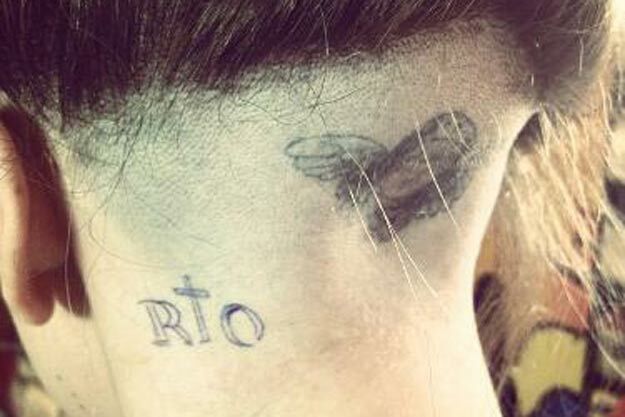 This was, of course, a tattoo to commemorate her album “ARTPOP” which pretty much sum up her as an artist and person. “I live between two things-I live between art and pop all the time.” Gaga has said. This unicorn tattooed on her thigh holds a banner that says “Born This Way” which is her second album and its most popular single. 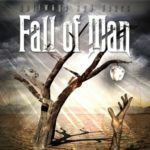 The song talks about being proud of who you are, the way you were born, and not to stifle it. This especially struck a chord in the LGBT community, who makes up a large percent of Lady Gaga’s fanbase. This tattoo of roses goes from her lower back to her waist. 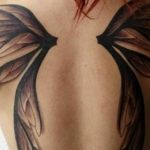 Of course, all of her tattoos are only on the left side, as a promise to her dad. She got this tattoo from tattoo artist celebrity Kat Von D for LA Ink. 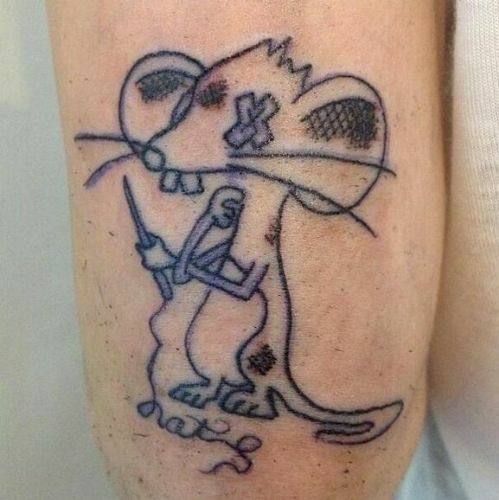 The reasoning for this tattoo? 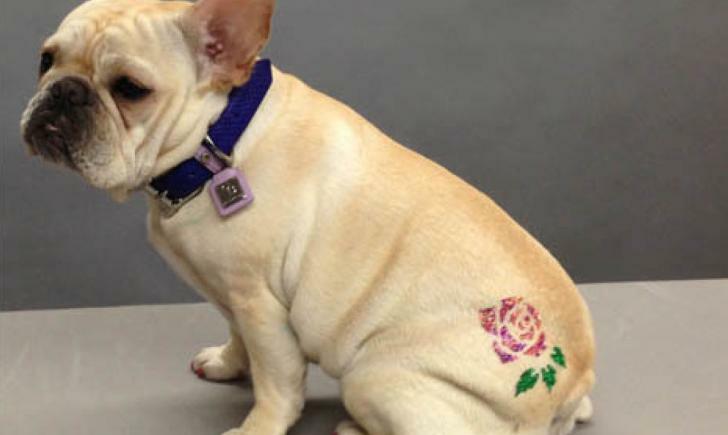 Her original treble clef tattoo was placed as the usual “tramp stamp” on her lower back. This tattoo on her left wrist is inspired by John Lennon from the Beatles. She grew up two blocks from the Imagine memorial, which is one block away from where John Lennon was assassinated. It’s right side up towards her to remind herself that no matter how much fame and fortune she garners and how much fun she’s having, to always remember the important things.